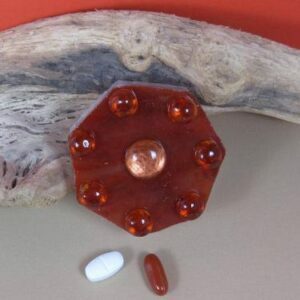 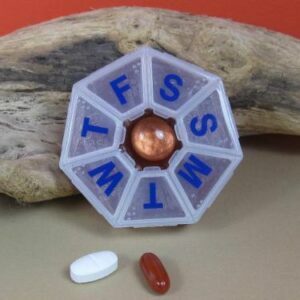 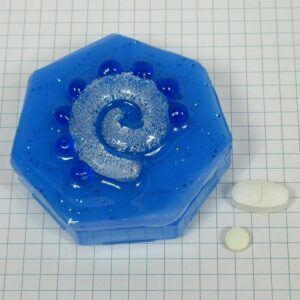 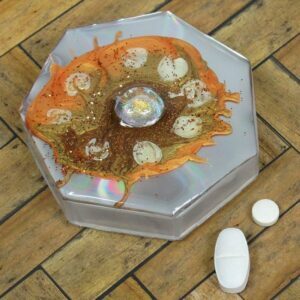 Kristi Lyn Glass’ small 7-dose septagon pillboxes have embellished decorative stained glass tops glued to a plastic base box. 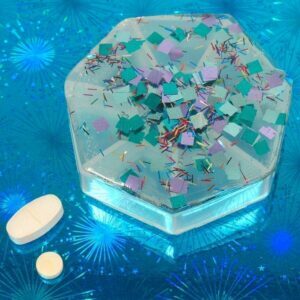 Turn the box over to access its individual compartments and view a surprise embellishment in the box’s central well. 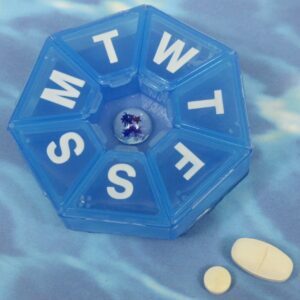 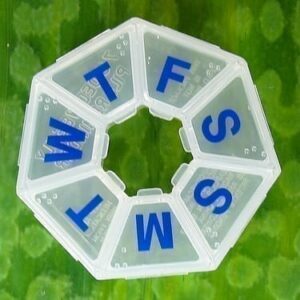 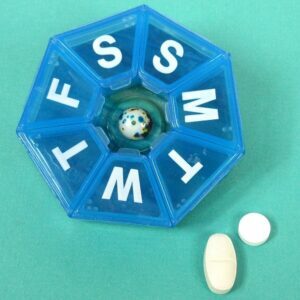 Small septagon pillboxes have 7 compartments that have separate hinged lids labeled with letters and Braille for the days of the week. 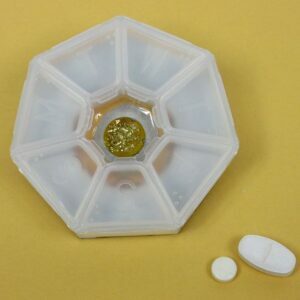 Each trapezoidal compartment is 1.125 x .875 x .875 x .375 x approximately .625 inch deep (inside measurements). 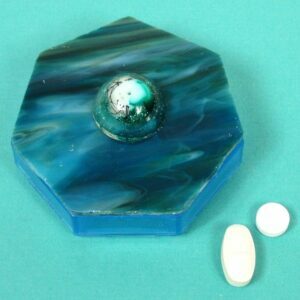 Externally, the box measures 3 x 3 inches. 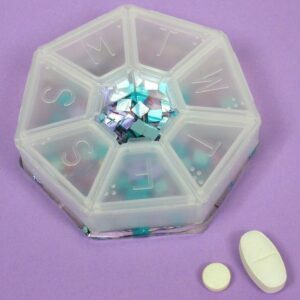 The height varies according to the box’s embellishments.These pillboxes also make terrific jewelry cases. 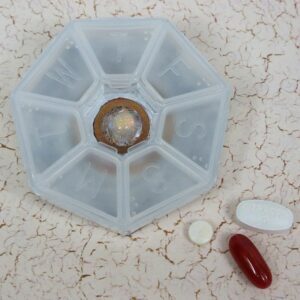 The design of Kristi Lyn Glass’ pill organizers is a PROTECTED DESIGN 2002. 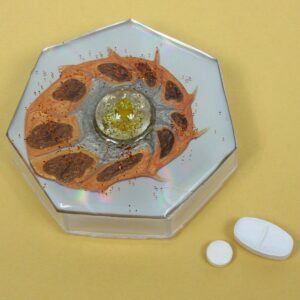 Click on any product picture to view details.